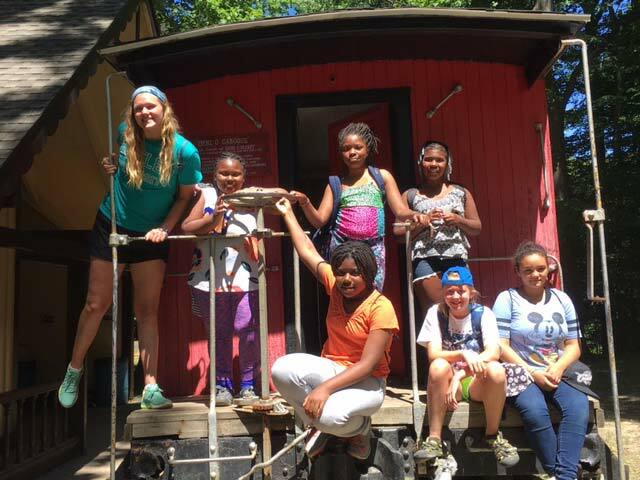 Summer Overnight Camp has been the core of The Hiram House mission since it was founded in 1896. Overnight camp is open to boys and girls ages 6-14. 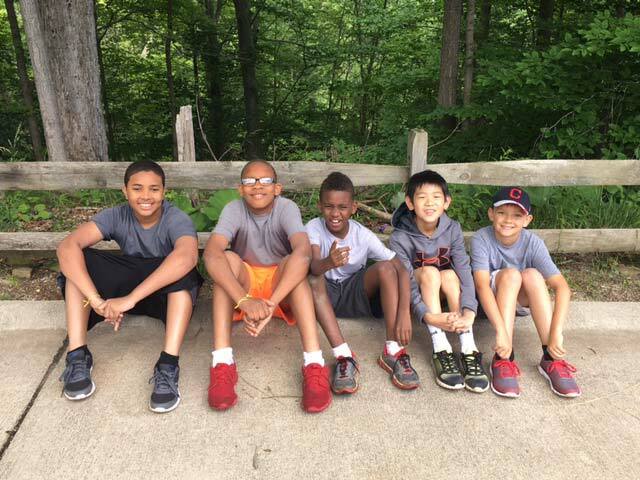 Many of the children who attend our overnight camp are from urban areas in Northeast Ohio. Some campers who attend the overnight camp are eligible for camperships which help to support youth to attend summer camp. Camp sessions are 6 days long. Camper arrival is at 2 p.m. on the first day of camp (Sunday); departure at 11 a.m. on the last day (Friday). 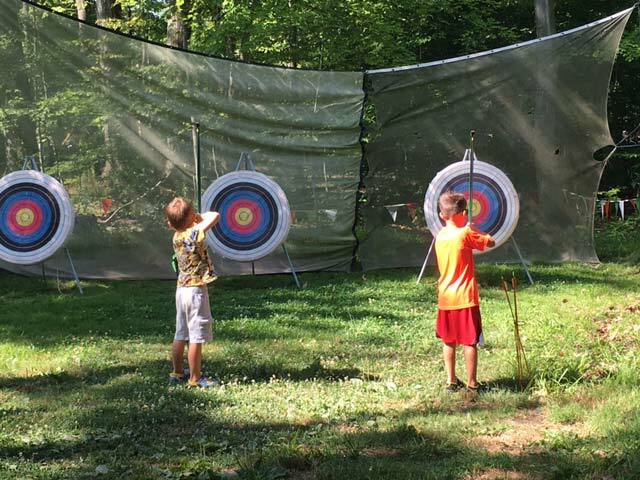 Campers ages 6-9 and female campers ages 10-14 live in log cabins centrally located to all camp facilities. Male campers ages 10-14 live in platform tents in the woods along our creek. Staff members live with and closely supervise campers throughout each session. Overnight camp staff stay on camp grounds at all times. All meals are provided. 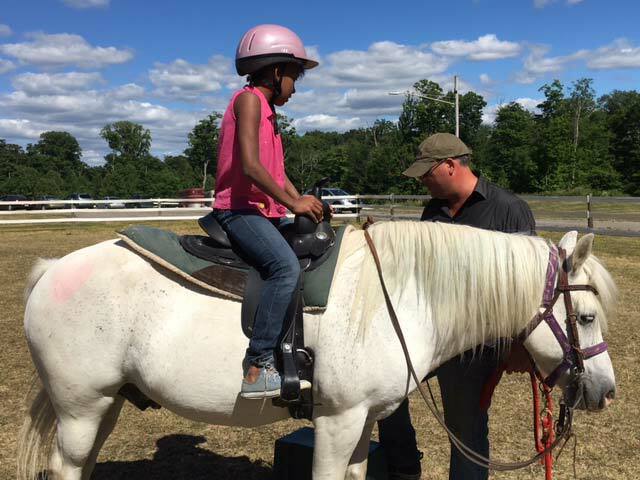 Each week campers experience a variety of hands on activities including: high/low ropes, alpine climbing wall, boating, archery, horseback riding, farmstead, arts and crafts, nature studies, campouts, cookouts and evening programs with campfires. Camp fees are non-refundable and non-transferable. In the event of a medical cancellation, $10 of the deposit will be kept as a registration service fee. There is a $20 charge for any non-sufficient checks. There is no pro-rated fee for campers arriving after the start of a session or leaving before its completion. There is a $10 fee for any change after registration. Hiram House is not responsible for loss of damage to any camper’s property during the camping season. 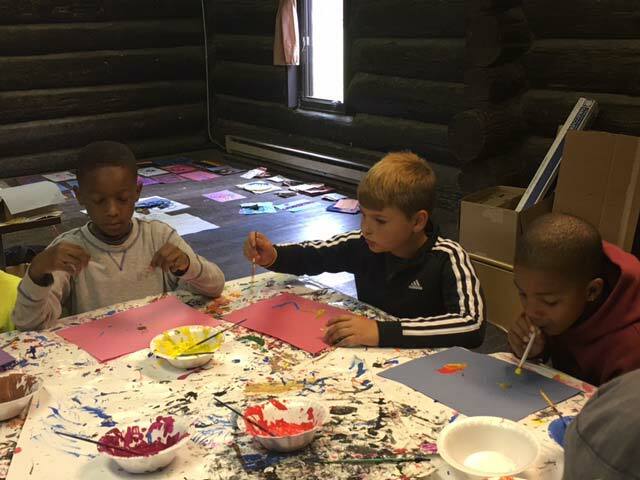 Each day of camp will include some scheduled activities listed above and some free time where the campers will help decide what activity to do. Free time is typically spent exploring nature or playing games. Each day will also include time for lunch and swimming. Below is a sample schedule for a day at camp. Each day will be different. Each camper is expected to be brought to camp at 2:00 PM on Sunday afternoon. Campers will not be accepted prior to 2PM. Campers must be picked up by 11:00 AM Friday. Our campstore carries a variety of snacks and souvenir items for sale. We ask that you send a specified amount of money along with your fees. These funds will be put into an account for your child at the campstore. Any money left in your campers store account will be returned to you at the end of the session. This year we are offering camper group photos. These photos MUST be ordered in advance. No Camper Should Bring Money With Them To Camp. 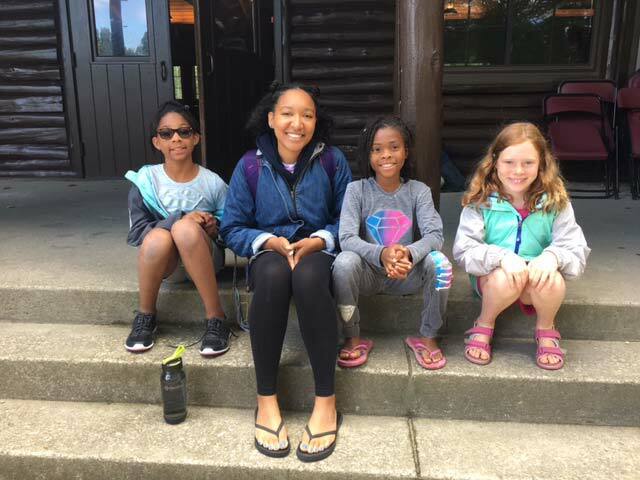 “Camperships” financial aid is available for Overnight Camp for children from families in need through our annual Campership Fund. Applicants must apply and qualify. A majority of our Overnight Campers are eligible to receive aid for some portion of their camp stay. Hiram House is a private, independent, non-denominational, nonprofit 501 (C) (3) organization. Donations to the Campership Fund from individuals, foundations, businesses and organizations and proceeds from our special events help to support this worthwhile program. Camp rules prohibit campers from bringing food to camp or receiving any food, including candy or gum. Should a camper bring or receive food items, such items will become the general property of the camp. A nurse looks after the health of the campers. Meals are planned by an experienced dietitian. Hiram House Camp has city water. Mail is received and sent out daily and can be sent to your camper at camp. Due to the busy camp program, the nature of our activities and the relatively short camping session, visitors are not permitted nor will campers make phone calls unless there is an emergency. Each camper needs to bring a suit and towel daily. If there are specific conditions under which your child cannot swim, please inform the camp office. All swim time at our pool is recreational and not instructional. Campers are required to take a swim test on the first day of each session to determine their swimming ability. Our pool has lifeguards and our waterfront director on deck whenever campers are present. 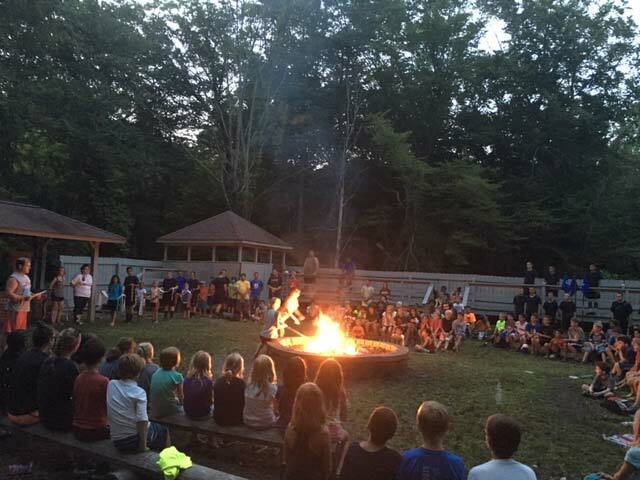 Our program staff is under the supervision of a qualified director and maintains an 8:1 ratio for Overnight Camp. Summer staff consist of many college and senior high school students who have an interest in child development. All staff is required to participate in a five day in-residence training prior to the start of camp. Group Counselors supervise and lead each camper group. 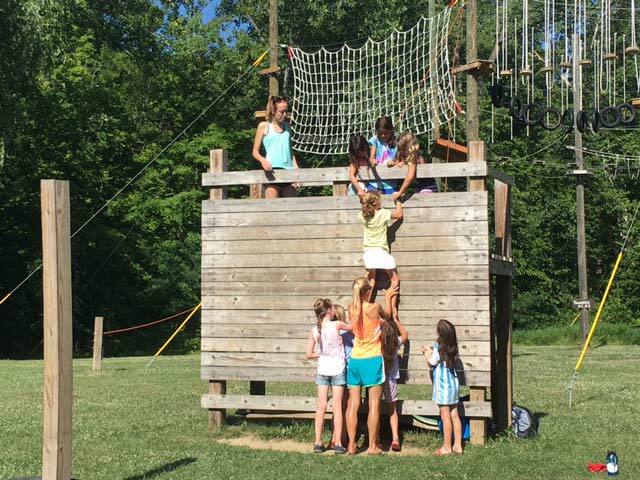 Specialists supervise and lead activities such as climbing wall, archery, etc. In order to attend camp, each camper must be examined and approved by a nurse or doctor with the past 12 months. The completed medical form must be in the camp office two weeks prior to the camper’s first day at camp. Campers buy snacks and souvenirs during designated times at the camp store. Campers will visit the camp store during designated times each session. All camp store money must be deposited prior to the start of camp. These funds will be put into an account for your child at the camp store. No camper should bring money with them to camp.